Funny commercial, no? Think again, racist pig. The spot for the "Texican" ("The taste of Texas with a little spicy Mexican") has prompted Mexico's ambassador to Spain to write a letter to "Burger King's offices in that nation objecting to the ad and asking that it be removed. 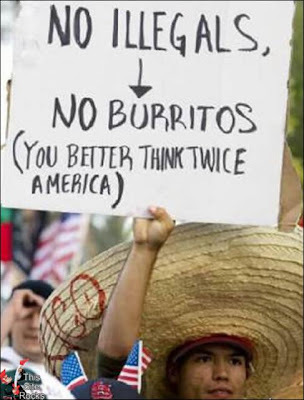 Jorge Zermeno told Radio Formula that the ads "improperly use the stereotyped image of a Mexican.""